Business email contains valuable information. Email archiving preserves information and enables compliance. Choosing an email archiving provider is no small task. Many options exist and not all services deliver equal capabilities. 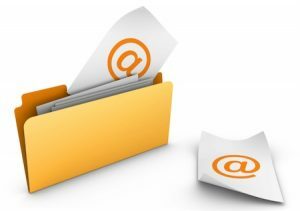 We explain what email archiving is and its importance in today's business world. Email archiving is a system that captures incoming and outgoing messages, stores the content and makes it searchable. Over 90% of all businesses will face a lawsuit. Regulated business fields like finance, healthcare and retail must meet compliance mandates. Every business needs to protect sensitive data against accidental loss and malicious tampering. For many businesses, the cost of not archiving can reach into the tens or even hundreds of thousands of dollars. Email archiving is insurance against the loss of valuable and sensitive company information. When having to answer legal actions, the speed at which important messages can be gathered pays dividends. Today, many email archiving solutions exist. We’ve put together the 10 most important questions you need to ask when selecting an email archiving service provider. The best setting is when your email archiving provider and email service provider are the same. If that’s not the case, make sure your provider is compatible with all popular email solutions, including Office 365, Microsoft Exchange, Lotus Notes, Groupwise, Gmail, Imail, Scalix, and Zimbra. When you talk to a provider, ask about ingestion speed. This is how long it takes them to import your existing data. If a provider lacks a robust architecture, it can be a lengthy process to get the solution up and running. Non-It people should be able to use your archiving provider’s search and retrieve features. If they can’t, they call IT every time there’s an email to recover. This will add time and complexity to every search. It’s common for companies to have tens or hundreds of millions of emails in their archive. Your provider should offer the ability to search through them rapidly. The best providers can sift through these massive archives within a few seconds. An archiving solution may be fast and easy when searching, however if you can’t find exactly what you’re looking for, you’ll spend extra time sifting through search results. Your ideal solution will give you effective tools. You’ll want full text search, tagging capabilities, rich Boolean logic, and the ability to search within at least 500 different kinds of attachments. Replicating data across two-to-four data centers is common. Regional disasters like a hurricane can take multiple data centers offline. For the best redundancy, your provider should replicate data a minimum of eight times across their data centers. Your archived data must remain free of corruption. Always. Many email archiving solutions boast resiliency of 99.999%, which implies an annual expected loss of 1-in-100,000 objects. You should seek a higher resiliency rate, such as “eleven-nine’s”, or 99.999999999%. This indicates an annual expected loss of 1-in-one-hundred-billion objects. Ask a potential provider if their archiving solution is compliant with FrCP, SEC, HIPAA, PCI or FInrA. If you’re thinking about going public, your archiving solution must comply with Sarbanes-Oxley (SOX). This requires tamper-proof wOrm media, ssAE-16, IsO, 27001, and FIsmA at a minimum. To have email submitted as evidence, it must usually be tamperproof. To comply with the Federal rules of Civil Procedure, a business must produce all relevant emails within a minimum timeframe. This costs $150–$450 per Gb on average when using an eDiscovery service. If you ever get in a bind, it’s critical to have live expert help that’s a phone call away. Your vendor should stand behind their service 24 hours a day. Your email archiving solution should make it simple to keep your email secure and easily accessed. It helps provide the preservation, protection and restoration your business needs to help safeguard intellectual property, facilitate compliance, and speed eDiscovery.